This week, Toyota and Nissan issued a recall for an additional 6.5 million vehicles containing potentially faulty air bags from the Takata Corporation, according to The New York Times. Toyota had conducted tests and had learned that the air bags were prone to leaks, the Times reported. When these air leaks occur, the propellant used to inflate the airbags ammonium nitrate can be contaminated with moisture and can then become unstable, the newspaper wrote. When an air bag propellant is damaged, the gas can escape too quickly and can cause the metal casing of the inflator to explode, The Wall Street Journal noted in a recent article. 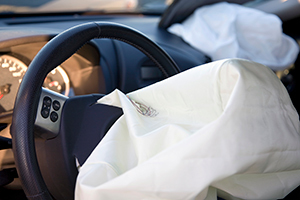 In October 2014, the National Highway Traffic Safety Administration issued a written statement urging owners of certain vehicles to replace defective Takata airbags. This February, the Los Angeles Times reported that federal regulators were issuing fines to Takata for failure to cooperate with an investigation from the Department of Transportation. Were You Injured by a Faulty Air Bag? Contact the Phillips Law Group. You may be entitled to financial compensation for your injuries. Our Arizona lawyers have experience handling product liability lawsuits. So, we can determine if the product that injured you wasn't correctly designed and manufactured. If you used the product properly and were injured anyway, the manufacturer could be held liable for your injuries. But you need the expertise of a law firm that understands the legal theory of product liability. You need the Phillips Law Group. We have a highly experienced team of personal injury lawyers, and we have a track record of getting results. In fact, we've helped obtain millions of dollars in verdicts and settlements for clients. It's time for you to see how a personal injury lawyer from Phillips Law Group can help you. It's time for you to contact the Phillips Law Group.